Yum! 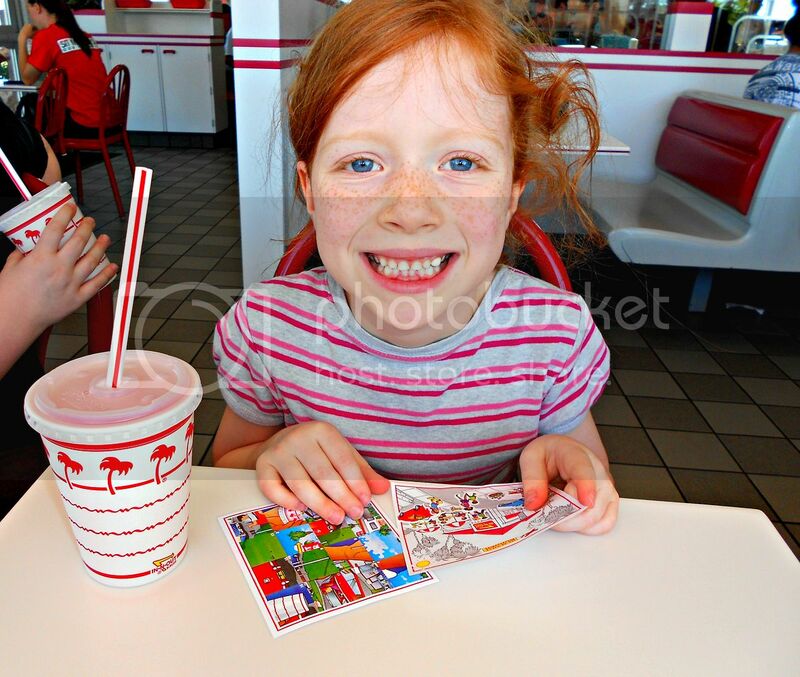 I have never been to In and Out. It looks so delicious! What a great offer! The kids look so happy. Thanks for the smiles. Have a super day! Sounds like a great night! And I bet kids were even more excited because they earned it! We don't have In and Out here in Arkansas.But several years ago when I visited California, I made sure to make a stop at an In and Out because I had heard so many good things about it. So jealous!!! I ADORE that place! Your kids are darling!!! 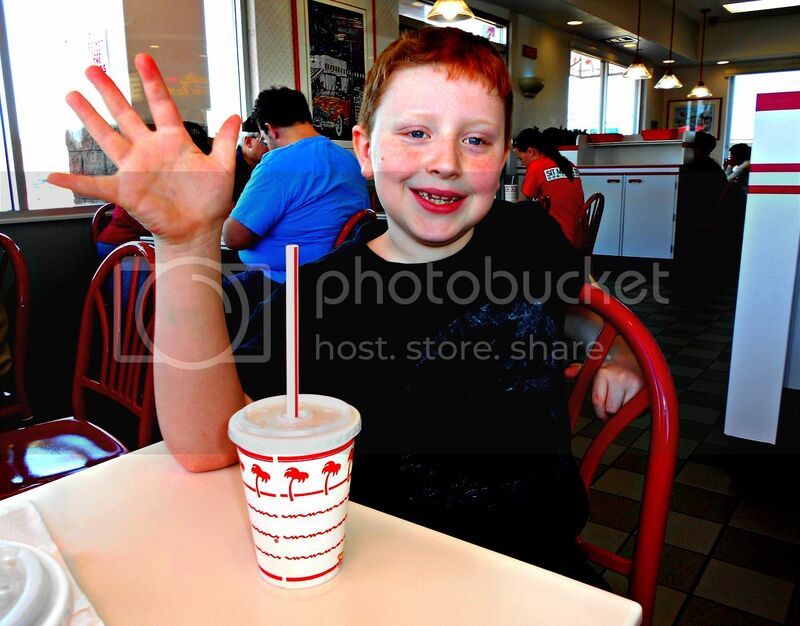 In and Out burger is one of our FAVORITE places to go when we are in LA. No joke. I think my husband makes us go there almost every day we are in California. SO GOOD! Your kids are adorable too! What an awful idea! In a country where childhood obesity is an epidemic, the library chose to reward book reading with junk food? This is an abomination! I absolutely understand where you are coming from, but when done in moderation, it is ok to have a burger every once in a while. I think it is a great way to get kids to read and explore the world a book can offer. I love that our libraries try all kinds of things to get littles to read. An abomination? I can think of some abominable things, but eating a hamburger certainly isn't one of them. Like Danielle said, it's all about moderation. This post is about the dedication of her children in doing something positive...reading! Congrats to them...and let's leave it at that. 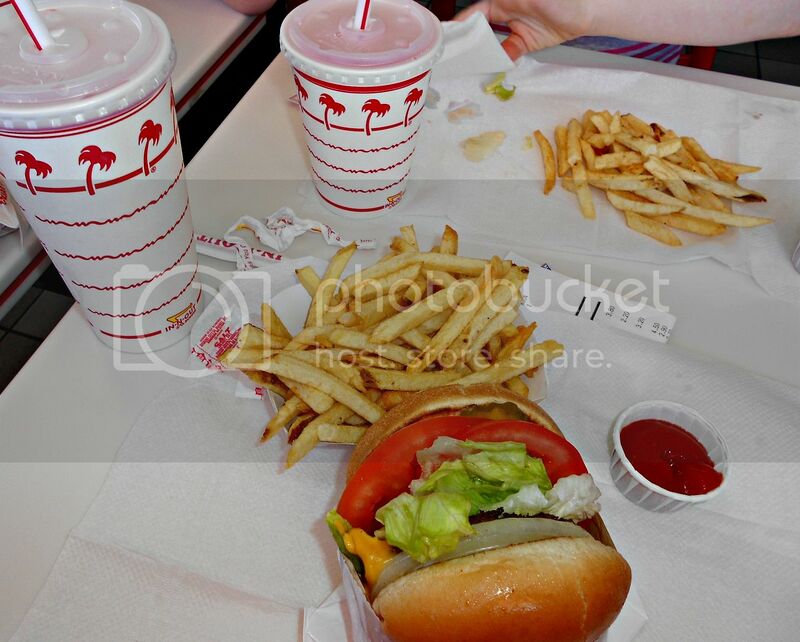 We love In and Out! Unfortunately there is not one in KY! Boo. We do things as inexpensive as possible. The cheaper the better [or FREE!] It is all about the time spent together! Totally agree! that is awesome! I believe as u said everything needs to be in moderation, what better way to teach? 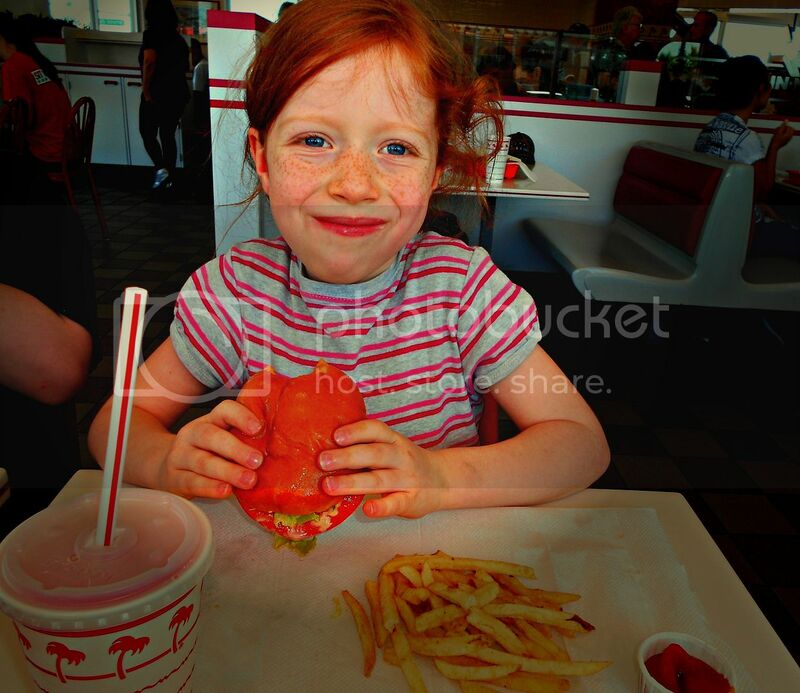 I bet that burger tasted even better knowing that they worked hard for it!. way to go guys!! mine cant wait to start the barnes and noble summer reading equals a free book. our library does similar things even hosts leg build time and science and family slumber night on Thursdays. I think that will be one of our first family night thing. and our lego store offers once a month free builds I believe will be our 2nd - thanks *SO* much for posting these it keeps it on my forefront! did u ever receive the book I mailed? We're suppose to get an In and Out Burger near us in the next year. I can't wait to try it, as everyone I know from California is drooling waiting for it to come. You will love it! Definitely a yummy treat! well I am catching up on my blog reading and I came upon this post. I love the challenge and I wish our local library had a similar challenge for the kids! But I agree with the fact that family time is not merited on the amount of money spent, but the time!! One rainy day, I made homemade playdoh and goop, had Smores, and played Mancala! The kids thought that it was the best day ever, and I didn't pay anything! You just gave me a great idea for another family night. Too fun!